What is project management data visualization? When it comes to project management, simply managing data is a big part of the job: In planning, while the work is going on, when you’re facing roadblocks and other problems that inevitably pop-up when you’re presenting your work to project stakeholders. Every project presents all sorts of data that can feed into a lot of different decisions. Data can work for you, or it can be one more thing you have to work on. If you want to make it work for you, use project management data visualization (and a good visualization management tool to help you do so). Being able to see the data that emerges from a project at a glance can go a long way towards saving you time and letting you focus on the parts of the project that really need your attention. Visualized data can help to pinpoint logjams and make planning more accurate. 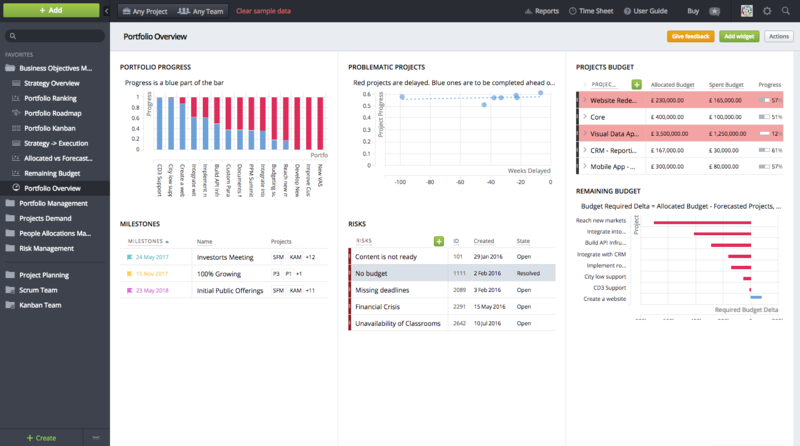 There should be no doubt that project management data visualization will save you time. Data visualization is a way to make sure that all of the important parties working on a project are on the same page. You don’t have to have a dozen different conversations happening across email and Slack, with even more data points in a spreadsheet somewhere. It makes it easy to see large amounts of data quickly and all in one place. It helps you understand trends and make quick decisions by locating all of the pertinent information where everyone that needs it can find it right away. Now that we're on the same page, here are five ways that data visualization can save you time. 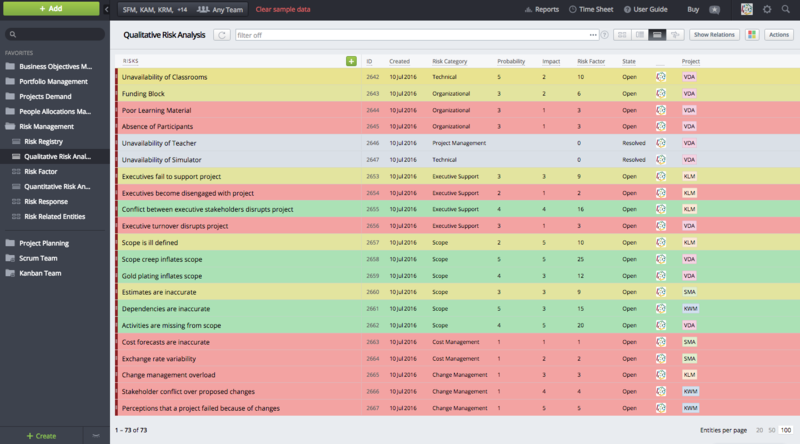 Project status reports monitor progress throughout the life of a project. A status report will lay out a summary of what is expected from a project and show planned versus actual progress. It’s a place to keep track of anything that needs immediate attention and to document risks and issues. A report can keep track of important milestones and keep an eye on the project’s budget. With so many variables a tool to help visualize everything in one place can be invaluable. Keeping track of the status weekly is made much easier when all of that information is in one place with easy to read visual aids. With data visualization software like Targetprocess, you can build custom reports that monitor the status of a variety of project elements. Sometimes what you need is a map of start and end dates alongside a chart documenting how much progress you plan to make versus how much progress has actually been made in that time. A timeline view helps you do just that. When there are multiple team members working on separate pieces of a project, having everyone’s progress laid out on a single page makes it easy to quickly see the extent of what still needs to be done. If resources need to be reallocated to pick up the slack somewhere, a timeline can help you spot it before it becomes a problem. Burndown charts are another great example of a visual aid that will help you save time by cutting down on planning and providing up to date information to the whole team on a project’s progress. A burndown chart helps each team member evaluate performance daily and prioritize work as needed. 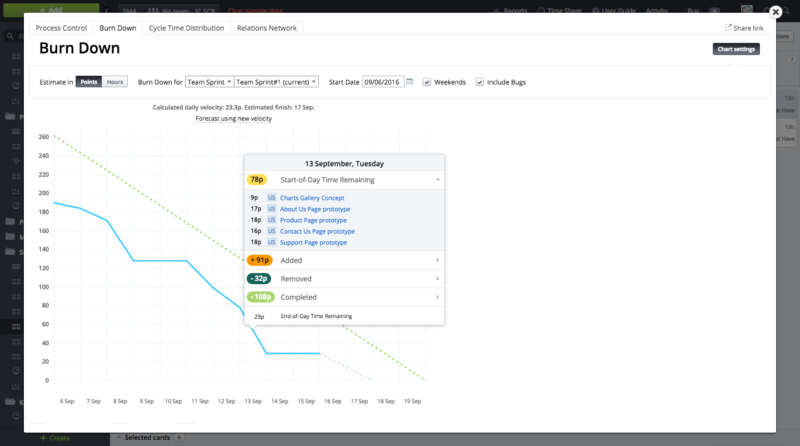 A burndown chart can help with planning for subsequent sprints by helping you see where issues arose and how to distribute work more evenly so as to meet all of the goals the next time around. If you are adding or dropping team members between sprints it is an easy way to catch everyone up on previous sprint’s work, rather than reading through email chains or spreadsheets. When you need to see an accurate graphic depiction of when all of your work can be expected to be completed, along with details of the progression, a burndown chart is the way to go. Risk management is about seeing things that have the potential to change the course of your project, whether they are positive or negative, ahead of time and making a plan for how to work with them. (We suggested once that you may want to call it “opportunity management” instead.) By analyzing a scenario for your project you can predict risk ahead of time and address it before it becomes a problem. Visualizing risk will allow you to make priorities, tackling the biggest problems head on and allowing you to avoid being distracted by the lower priority risks. With all of the risk factors in one place, it is easy to chart a plan and minimize potential threats. 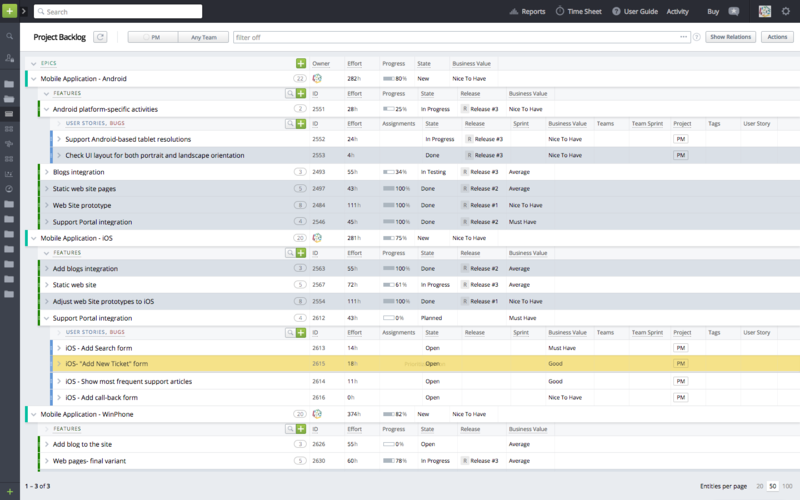 A risk dashboard, like the one in Targetprocess, is an efficient, time-saving way to see your team’s response to risk and to make it easy to stare with anyone who needs it. Sometimes elements of your project depend on each other to be finished before everyone can move forward. If one thing needs to get done before another can get started, it is helpful to have those relationships clearly plotted out so team members can assess priorities. 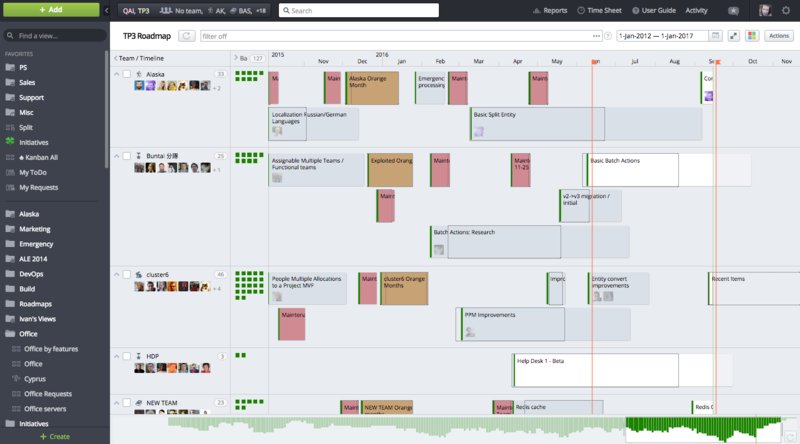 Visualizing project tasks and the connections between them will help you save time by focusing on completing them in the right order. By assigning inbound and outbound relationships to cards on a planning board, it becomes clear where priorities lie. By making sure that all team members are on the same page about which pieces of the project are relying directly on each other they can communicate more effectively and save time over the length of a sprint when they are planning how to finish their work. Prioritizing the backlog, all of the work that needs to be done on a project or sprint, is one of the project managers first steps when beginning a project. By beginning with a short description of all of the desired features, a project team can look to the backlog for important tasks and the order in which they need to be done. Whether they are being viewed on a timeline or with cards, priorities can be sorted and ranked to make planning a sprint easy. By laying out the backlog in order of need with visual management software, a project team can find everything they need in one place making it easier to collaborate. If an urgent bug pops up during one sprint, it can be easily moved up the list to be taken care of in the next one. 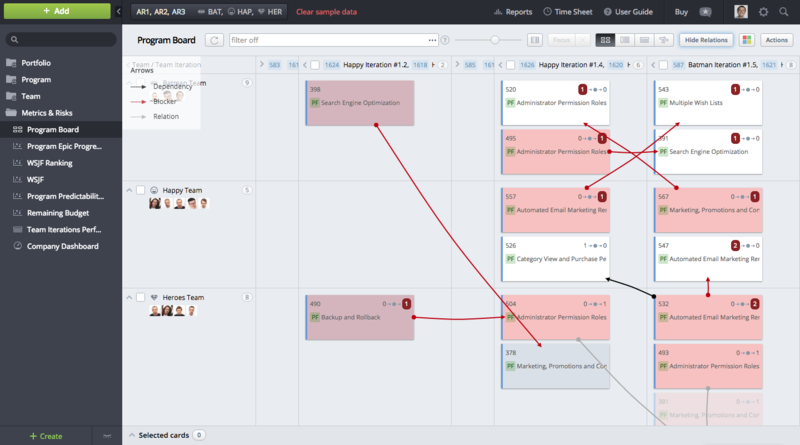 When it comes to planning and executing a project and managing a team, laying out a visual roadmap is going to help smooth out the entire process. When all of your team members can collaborate with planning, quickly see what progress is being made, and what needs to happen next, there is less friction and more effort can go directly into the project. A visual tool will save time and energy. Looking for other insights into data visualization in project management? Check out these articles!